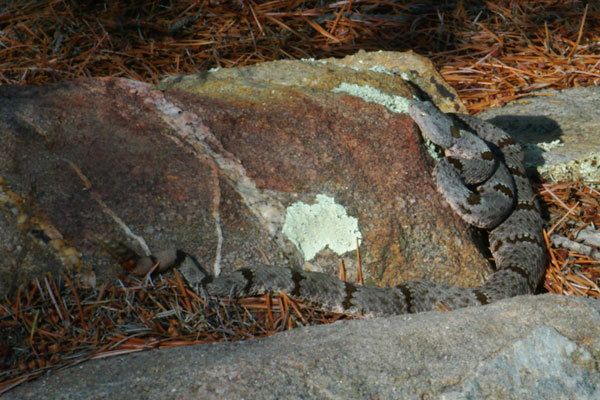 I spotted this small rattlesnake while clambering around on a jumble of large boulders that we had reached by hiking up out of the Nature Conservancy's Ramsey Canyon Preserve, a world-famous birding spot. 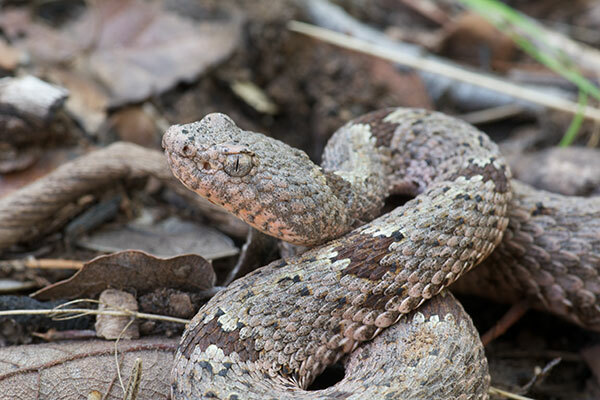 I had been hoping to see the much rarer Ridge-nosed Rattlesnake in this area, but was still quite happy to discover this more common species. I got within perhaps 30 feet to take this picture, but that's as close as it let me get. The noise I made taking a few photos from this distance were enough to disturb the snake into retreating to a crevice in the rocks. 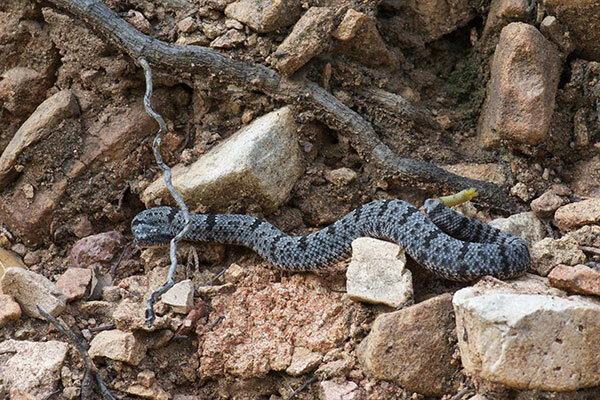 At long last, I saw another Crotalus lepidus, this time from quite a bit closer. 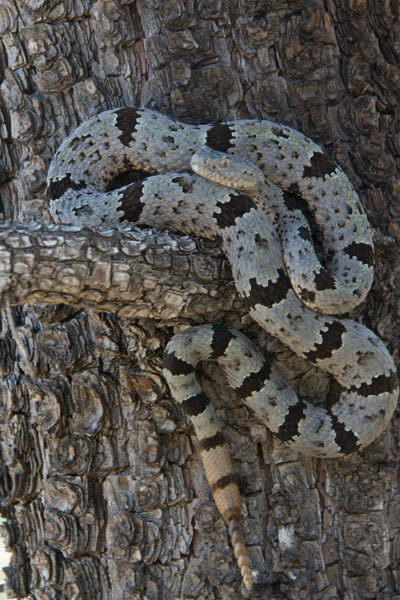 Roger Repp found this one and maneuvered it into a good spot for photos, whereupon it coiled up nicely on a branch. 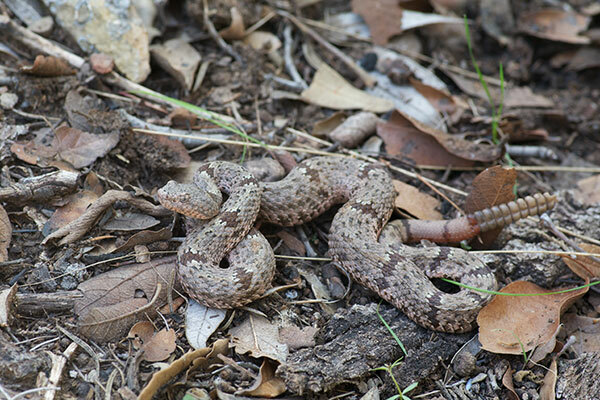 Just half an hour later or so I had another close-up encounter with this attractively-marked species. 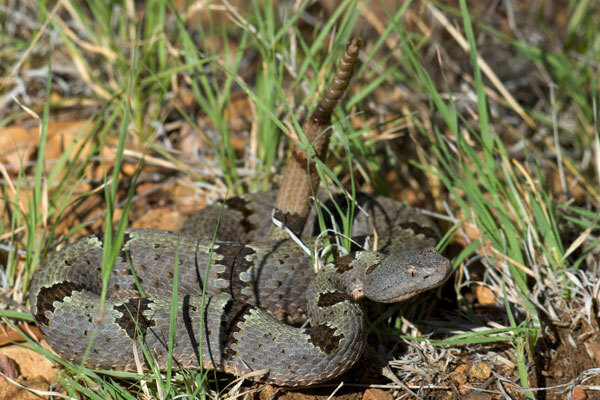 This is a significantly larger individual, with a distinct greenish tinge. A beautifully camouflaged little buzztail. 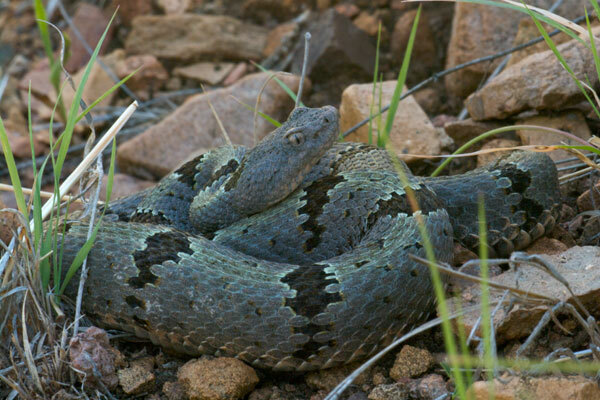 This gorgeous young rattlesnake was a fine consolation prize for me and Roger Repp (Herp King of Southern Arizona, where the turtles are strong, the snakes are handsome, and the lizards are all above average), on a day when we were specifically and unsuccessfully looking for Ridge-nosed Rattlesnakes instead.